Blog a round up of our top cleaning tips! In our blog posts we try to give our readers as many top cleaning tips and advice as we can. We’ve collated the most popular of these below – enjoy! Easy method for most spills!– Surprisingly for most spills, you follow one very simple method to remove them. Maybe you’ve had a red wine spill or spilt your cup of tea or coffee on your carpet? Read this article to find out what to do before you attempt to remove the stain. Mud – Kids walked muddy footprints over your cream carpet? Don’t worry, it’s actually very simple to remove! Chocolate – Do you have a sweet tooth? Here is a simple guide to removing smudged in chocolate! Kids! – If you have children or grandchildren, this could be a good article to read! Dog poo – Are you on a pet-owner? Hopefully you won’t need this one, but here is the link just in case! Candle wax – Might sound unusual, but we get lots of enquiries on how to deal with spilt candle wax. Read this article to find out more. Long-term stains – Or maybe you have a stain that has appeared months after a spill? Click here to find out how to treat it. Carpets – Click here to find out how to care for your carpets properly. Caring for your sofa – read the common causes of sofa damage and how to prevent them. Leather maintenance – or maybe you want to know how to care for your leather furniture? 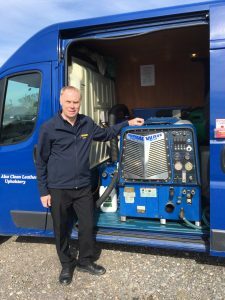 … and don’t forget, when your carpets and/or upholstery need a more thorough clean, give Careclean a call on 01245 323989 to book in your free cleaning quote!